Tasked with one of Europe’s largest ever infrastructure projects, Nottingham City Council called upon MVIS to help minimise congestion and journey disruption. The £1bn infrastructure regeneration project included both extensive upgrades to Nottingham railway station and traffic remodelling at major junctions on the A453, the main route into the city. 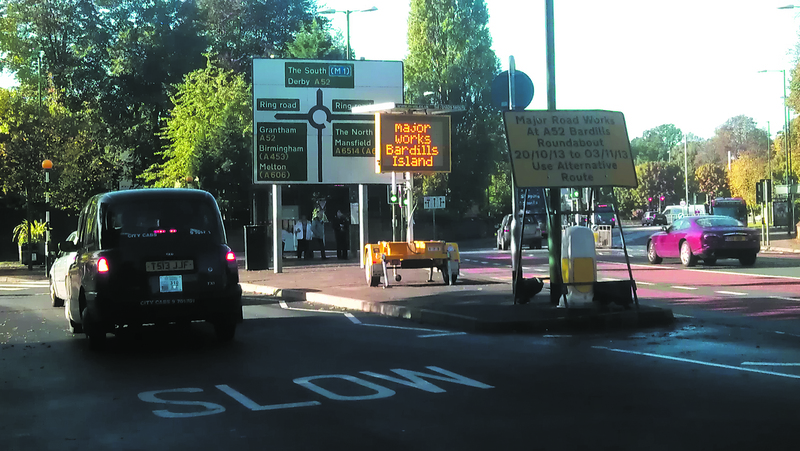 For the project, MVIS deployed an innovative ITS solution incorporating Variable Message Signs (VMS) to inform road users of roadworks and suggest alternative routes. It also featured CCTV to monitor the flow of traffic throughout the affected area. In total, MVIS’ temporary, solar-powered solution comprised nine portable VMS-A, and five trailer mounted solar-powered CCTV cameras. MVIS worked in partnership with the Council to provide a traffic control room service, using live CCTV data to inform the VMS messages, which could be instantly updated from any internet-enabled device. Because the VMS were highly visible, local motorists took notice and acted accordingly. As the equipment is solar powered and therefore does not require preliminary groundwork, it meant that it could be easily repositioned as the roadworks moved, whilst also incurring minimal operating costs. “No infrastructure development initiative of this scale will be without any disruption, but we’re pleased to say that so far, not only have we received relatively few calls from road users, but we’ve had some extremely positive feedback from people about the effectiveness of the system. MVIS’ VMS are now available through a nationwide network of depots, allowing rapid deployment. MVIS’ product portfolio now includes a wide range of ITS solutions in addition to VMS, including ANPR, CCTV, journey time solutions, radar and lighting, and clients include Transport for London, Balfour Beatty, the Metropolitan Police and numerous events organisations.